Days Before Hurricane Harvey Hit Texas, Trump Repealed Flood Planning Rules | "Global Possibilities"
Architects are baffled by the president’s decision to undo a key directive that modernized flood management policy in light of climate change. Courtesy NASA Goddard Space Flight Center via Flickr Commercial Commons Aerial view of Hurricane Harvey on Aug. 24. 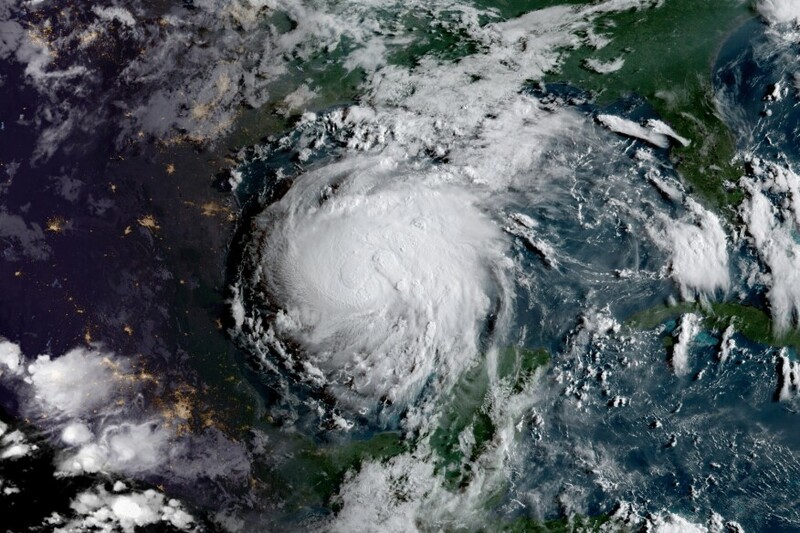 Last week with a major hurricane bearing down on Houston, President Donald Trump tweeted, “As #HurricaneHarvey intensifies—remember to #PlanAhead.” Sound advice. But just one week prior, Trump signed an executive order overturning an in-progress Obama-era directive intended to help the country prepare for flooding as it becomes more frequent in some places largely due to climate change. The previous administration came up with the Federal Flood Risk Management Standard after Hurricane Sandy devastated parts of New York and New Jersey and caused more than $62 billion in damage. The rule required new housing and infrastructure projects receiving public money to be elevated 2 to 3 feet above their local 100-year flood height—the same standard applied by the Rebuild by Design competition in New York and New Jersey after Sandy. Now that the rule has been revoked, “taxpayer dollars will likely be wasted through investments in projects that could be washed away in the next storm,” said Rachel Cleetus, climate policy manager at the Union of Concerned Scientists, in a statement. Laurie Schoeman, who worked on post-Sandy recovery efforts for the nonprofit housing developer Enterprise Community Partners and now oversees green building for the organization, says she was baffled by the decision. “When you roll that kind of policy back and don’t come up with anything to replace it, what you’re saying is, ‘Let’s just keep putting Band-Aids on the problem, let’s not think about the challenge of climate change,’ ” Schoeman says. 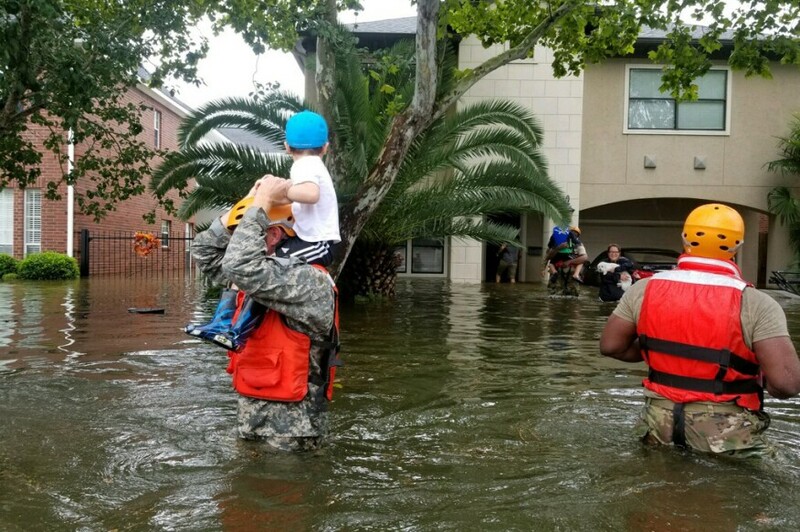 Courtesy Texas Military Department via Flickr Commercial Commons Texas National Guard soldiers arrive in Houston, Texas, to aid citizens in heavily flooded areas from the storms of Hurricane Harvey. Photo by Lt. Zachary West , 100th MPAD. But Schoeman worries that architects working with constrained budgets won’t go beyond what’s required by code, leaving more buildings vulnerable to future flooding. Potential budget cuts at the federal agencies in charge of grants for new housing and infrastructure might make that problem worse. Marion McFadden, who helped develop flood-risk standard as former deputy assistant secretary for grant programs at HUD, says the rule’s repeal puts billions of dollars of property at risk. “Whether you think sea-level rise, river flooding, and the increased severity of hurricanes are the result of manmade or natural changes, we have a common financial interest in preventing the federal government from footing the bill for poor planning,” says McFadden, who is now vice president of public policy at Enterprise Community Partners. 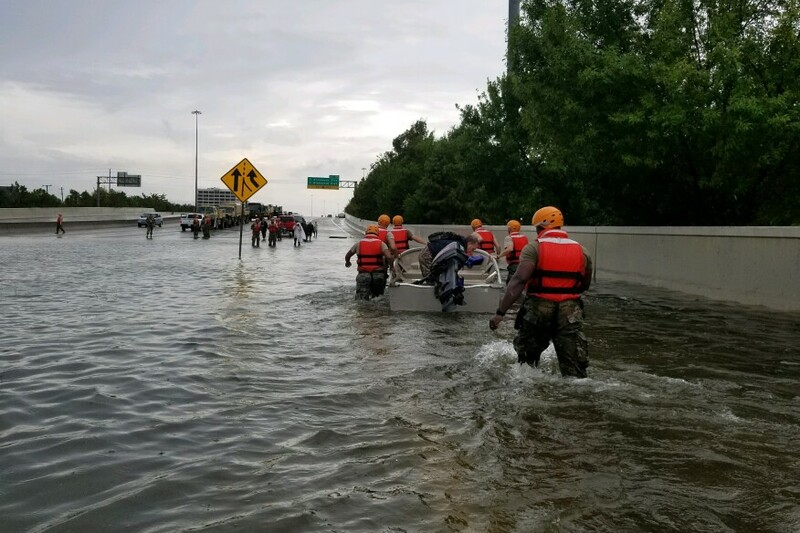 Emergency responders and civilian volunteers completed more than 1,200 high-water rescues over the weekend—work that will continue as the storm pours a record-breaking 50 inches of rain on parts of Texas over the next few days. But after the rescue and recovery efforts, Houston will have to plan for the next storm. In the absence of direction from the federal government, it may be up to local architects, planners, and developers to make sure their cities are ready. Chris Bentley is a freelance journalist based in Boston. He tweets at @Cementley.